How is your life in this day? This is Mr. Deng again to you. Hi, tell you one thing… .. yesterday I see the man here that have kind of desease. That man have only white hair and the above eye hair is also white and his skin is also so white you can not imagine to that! In Suzhou that man is so famus becase he look so strange and everyone call him Dead Man becase he is so white. Everyone will yell and want to run away when they see Dead Man walking on the street! Hi, one time a Africa blackie man come to my company. Everyone want to look at that man because his skin was so black. The women at my factory is so scared that they will catch the aids from that man but then he say he do not have the aids so the women can feel more easeful. I never see that kind of forgeiner before. These days my boss is so worried becase the factory is in the Red and it downed the money. He is so worry so he pull out all his hair on his head and sometime eat the hair! So now he have the pain in his stomic from that hair he is eating.. I try to find the photo for you now. My uncle give me his camera so the photo will be more better! Here is the USA Micker Mouse again to you. On the school wall here you can always see him. Why he want to touch that dog? 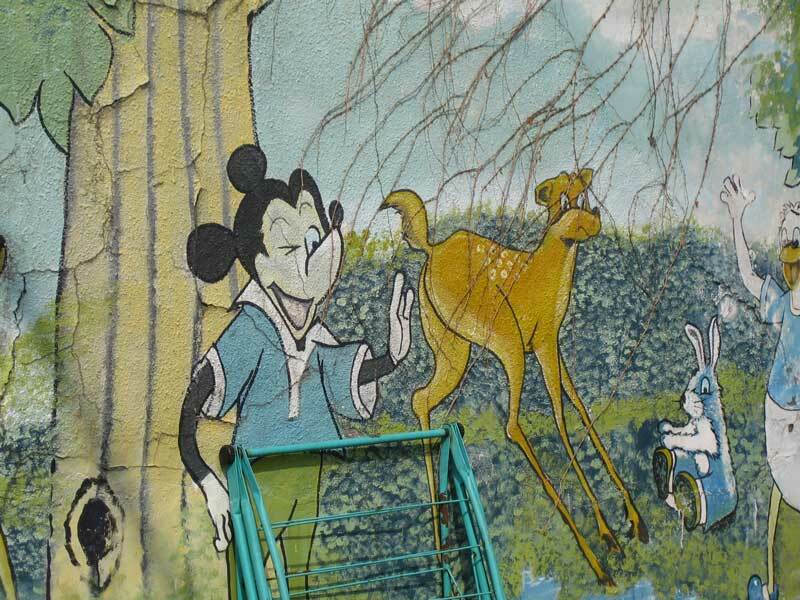 You should come to China to paint that blue dress man you make on the walls here for the children to laugh to that! 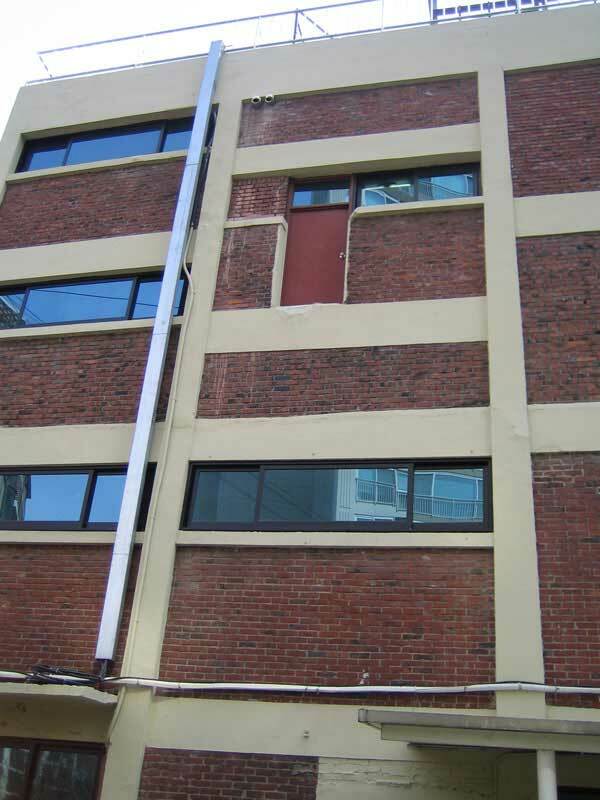 At my factory there is the door to run from the fire. But everyone must remember not to go out that door or they will fall down! In Suzhou New District we can eat the USA food now! 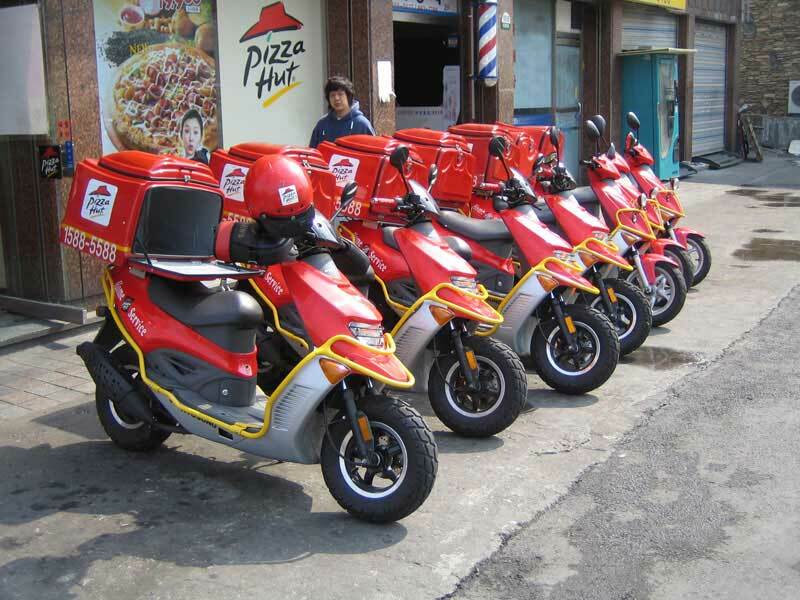 Here is the pizza store and the man will deliver that to you. 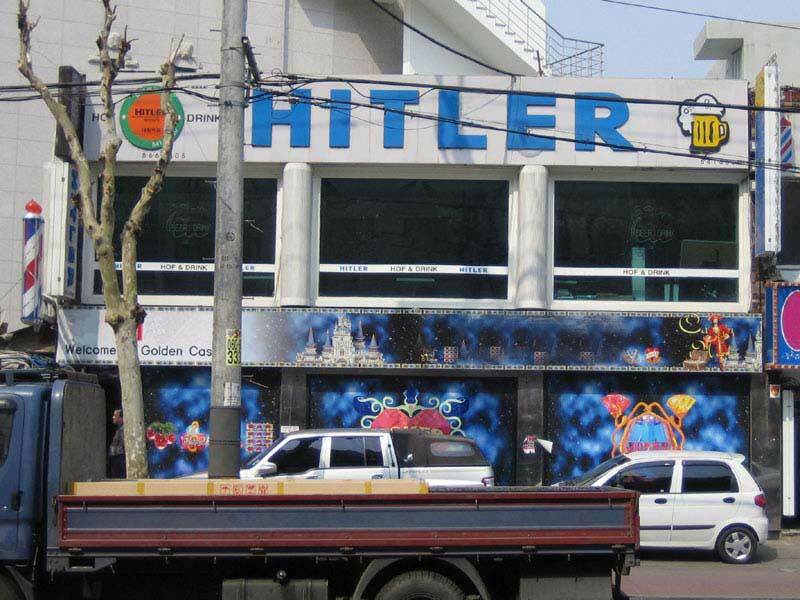 The USA forgeiner always want to go to Hitler bar when they go to my company. There is many new hotel this day. 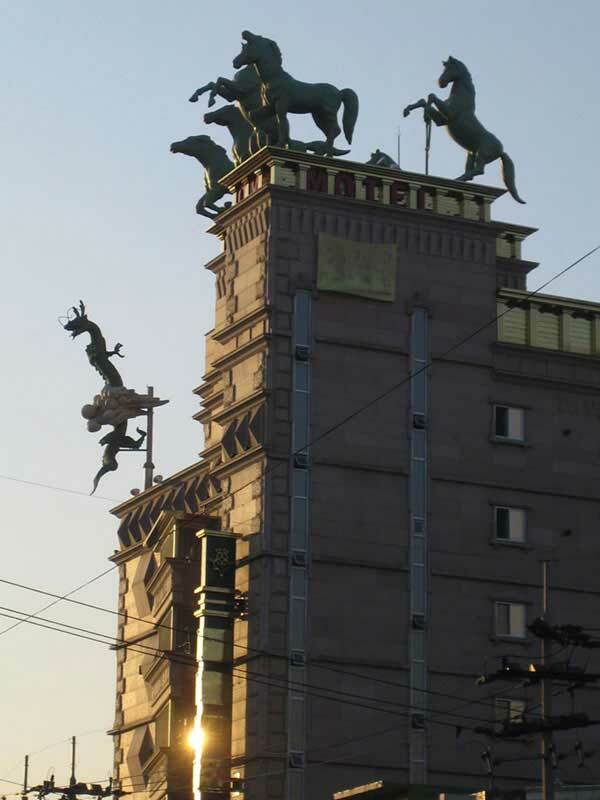 You can see the lucky horse animal and dragon on this building so the hotel can get more business becase it is so lucky. 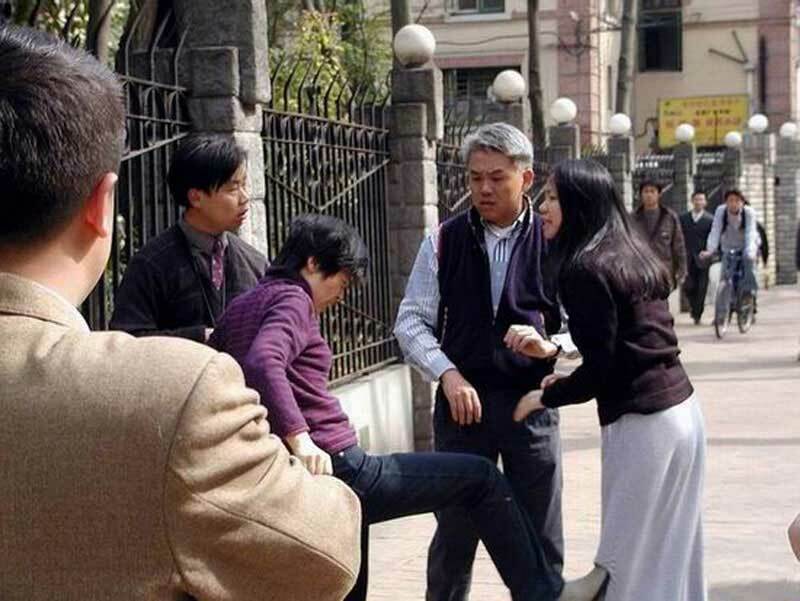 The mother is kicking the daughter becase she want to marry that old man. The mother is so angry at the daughter to love that old man and she yell the bad word to her! Everyone can watch that. I have no more photo for you now. So must say by by to you. Please try to be happy now!